New Education Programs… for Girls and Boys! A series of new programs has been developed for visiting youth groups. 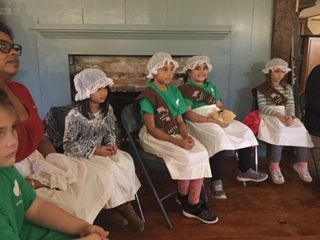 This October, two East Windsor Girl Scouts troops visited and learned about the chores that young girls were expected to do on a daily basis. 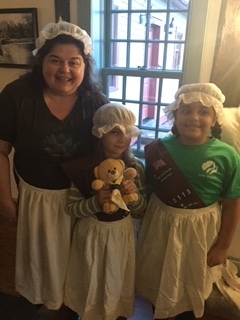 They all donned aprons and little lace caps to get into character. 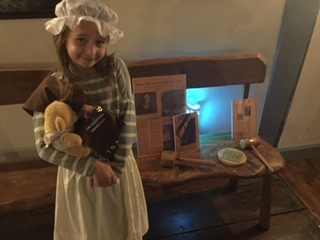 There is a similar program on chores for boys, and a program on what it was like to attend school in 1880. 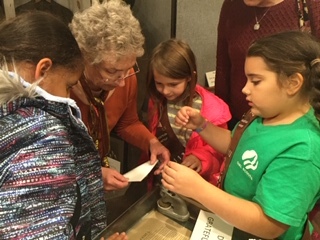 If your group, school, or home school would like to tour the museums any time of year, contact Nancy Masters at 860-289-5085 or e-mail RN1757@aol.com.